4 Sept 2012, 3A break down RM1.12 descending triangle support level & consolidate @ RM0.985 level. 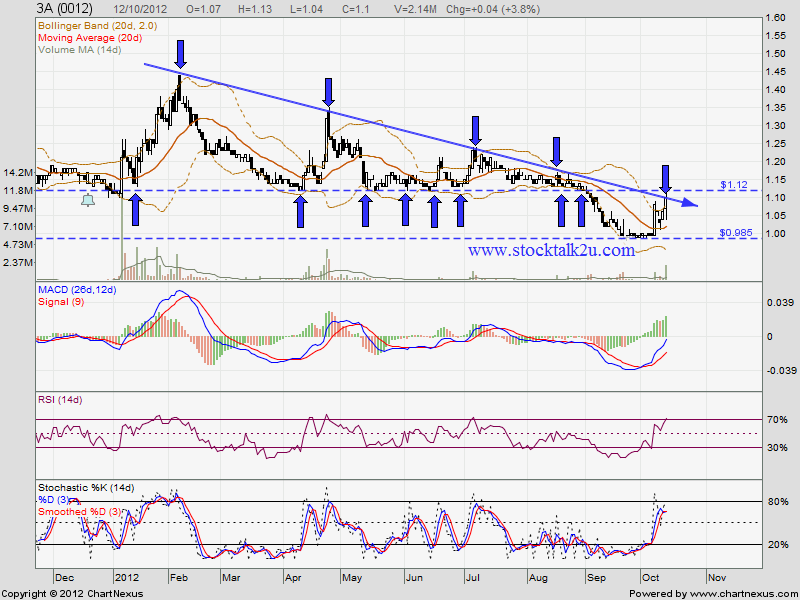 Now retest RM1.12 resistance again, will it break through RM1.12 level? 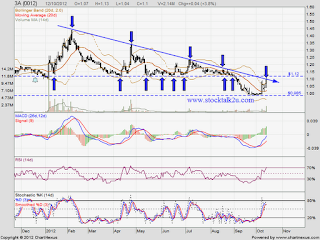 MACD trade @ negative region, downtrend itinerary. Subsequent resistance @ MA100, which is RM1.12 level.